The attraction of many 19th-century picnics but also a traditional element of the Golden Afternoon are the artists and musicians performing music live, to make the picnicing an even more pleasurable way of spending time together. This time we invited a young violinist, that will bring the magic to our ears, hearts and souls with the wonderful song of the violin bow sliding on the strings guided by the thoughts and inspirations of compositors such as Bach, Telemann, Rode or Bacewicz. 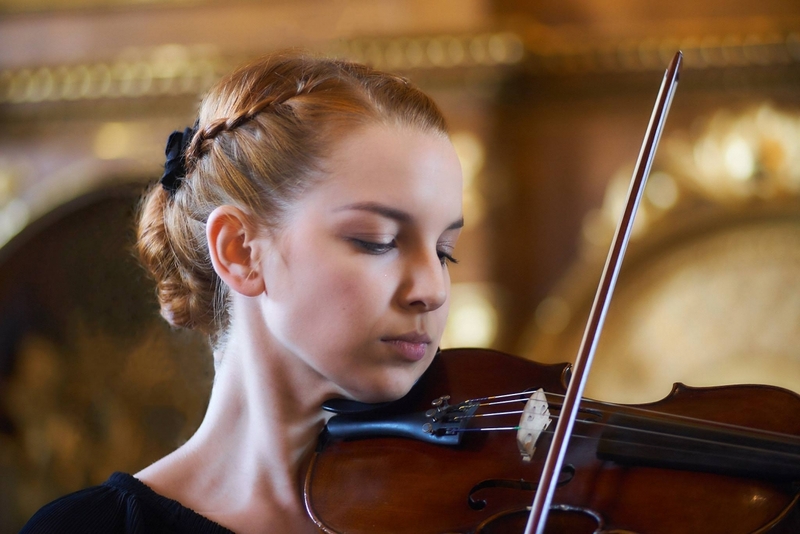 Eliza Czepiel – a young violinist from Nowy Sącz, currently a second-year student at the Instrumental-Teaching Faculty of the Fryderyk Chopin Musical University in Białystok.